Jim Webster is a litigation partner with extensive experience trying dozens of complex cases in federal and state courts throughout the United States. He started with the firm in 1995, left in 1998 to serve as an Assistant United States Attorney in Baltimore, and returned as a partner in 2002. Mr. Webster’s practice is characterized by the diversity of the matters he has handled. His civil expertise includes representing plaintiffs and defendants in a variety of general commercial disputes involving claims of breach of contract, fraud, breach of fiduciary duty, professional malpractice, antitrust violations, and patent infringement. 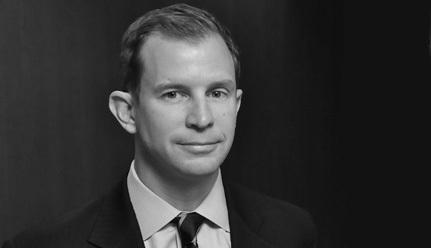 In his white collar practice, Mr. Webster has defended corporations and individuals throughout the world in investigations and prosecutions concerning claims for price-fixing and other antitrust violations, FCPA violations, tax fraud, securities fraud, bank fraud, money laundering, bribery, and other violations. Mr. Webster also has extensive experience in arbitrations, where he has recovered over $100 million for clients. Aribtration re 2003 NPM Adjustment. Lead trial counsel for the common interests of over 40 states and territories in an arbitration against all the major tobacco companies. At stake were over a billion dollars in claims by the tobacco companies for adjustments of the settlement payments they made to the states in 2003 as a result of the 1998 global settlement agreement between the tobacco companies and the states. BT Triple Crown Merger Co. v. Citigroup Global Markets, Inc., No. 09-600899 (N.Y. Sup. Ct.). Trial counsel for private equity funds in a multibillion-dollar breach of contract action against six prominent banks to force them to fulfill their commitment to finance a leveraged buyout of Clear Channel Commuincations. Shortly after trial commenced in 2008, the banks settled and agreed to fund the transaction. GARCO Investments LLP, et al. v. Sprint Corporation, et al.,Case No. 04CV01714 (Kan. Dist. Ct.) and State of New Jersey and its Division of Investment, v. Sprint Corporation, et al., Case No. 03-2071-JWL (D. KS.). Lead counsel for the former CEO and COO of Sprint Corp., in a series of federal and state cases asserting claims against them for securities fraud and breach of fiduciary duty. Secured dismissal of all claims. Coleman Holdings, Inc . v. Morgan Stanley, Inc., Case No. CA 03-5045 AI (Fla. Cir. Ct.). Three days before trial commenced in 2005, Mr. Webster replaced prior defense counsel and assumed responsibility for trying multibillion-dollar claims against Morgan Stanley. All claims were dismissed pursuant to directed verdict.